All Nomadic Expeditions tours, river cruises, expedition cruises, and adventure trips. Find the best guided trips and expert planned vacation and holiday packages. 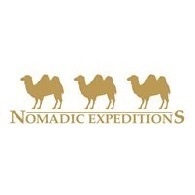 Average rating of 5.0 for all Nomadic Expeditions trips. Explore the mustical,Gobi Desert, Flaming Cliffs,Tugrugiin Shiree,Yol Valley and Mol tsog Els. Trans-­Siberian Railroad with exclusive photo stops. Daily lectures about countries, people and cultures. Pristine Siberian villages and landscape. Train ride along the traditional Trans-­Siberian railway with 2 exclusive photo stops. 40 hours Boat ride at Lake Baikal. Visiting Cities like Kazan,Yekaterinburg, Novosibirsk, Irkutsk, Ulan Ude,and Ulaanbaatar. Moscow’s Red Square and Metro station. Tours of Moscow’s Red Square and cathedrals. Visiting Cities like Ulaanbaatar, Ulan Ude, Irkutsk, Novosibirsk, Yekaterinburg and Kazan. Pristine Siberian villages and nature Mongolia horse Show. Beijing’s Forbidden City, Temple of Heaven,Tiananmen Square.